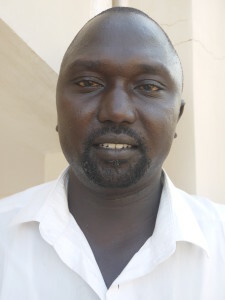 Juba, – Kon Kelei and Tong Akot returned three years ago from the Diaspora, full of optimism, back to South Sudan. They had fled as teenagers from the civil war between North and South Sudan, and ended up in the Netherlands where they studied and worked. In 2010, a year before the independence of South Sudan, they both separately decided to help with the building of their country. After a laborious start they eventually found their niche only to end up in another war in their country, this time between the South Sudanese themselves. “A new country is a matter of trial and error. Political tensions were high before the conflict broke out, but I had not expected it would escalate in the manner it did”, says Kon Kelei. At the age of four he was taken by the former southern rebel army, out of which the present forces were formed, to be trained to become a fighter. Eight years later he defected. While in the Netherlands he became a well-known voice who spoke against the use of child soldiers, and he studied international law. Three years ago, clad always in jeans and a T-shirt, he started realizing his dreams and opened a law firm in Bor, his birthplace. He also started the building of a high school with money he collected in the Netherlands. Today the school is not quite finished. The office also does not exist anymore, and like many buildings in Bor, had got destroyed during the fighting last year. A power struggle between President Salva Kiir and his former vice president Riek Machar, both belonging to two different tribes, degenerated into an ethnic conflict that cost at least ten thousand people their lives. Bor and other strategic towns like Bentiu and Malakal are largely razed to the ground. In 1991, during the rebellion against northern Sudan, the militia of Machar who is a Nuer, caused a bloodbath among the mainly Dinka population in Bor. The reason then was also a political struggle within the rebel movement. Machar had a fight over the leadership of the movement with John Garang, a Dinka and founder of the southern rebel group. “Machar makes the same mistake as in 1991. Such blunders cannot be repeated”, says Kelei who predicts that reconciliation between the two tribes would only be possible under a next generation. He gave up his law practise in August when he accepted the offer to become personal assistant to the influential minister of information. Nowadays he is smartly dressed, and notwithstanding the midday heat in the capital Juba, his tie and jacket permanently stay on. 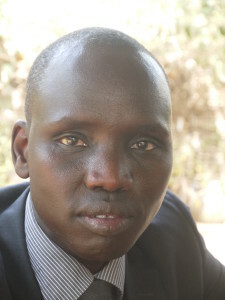 Adut expects the war would produce eventually something positive. He believes that the government had paid far too little attention to the population. “I think the magnitude of the conflict must have given the president a fright, and maybe he now understands that things have to change in South Sudan”. Upon his arrival in his native country, he had hoped to find a job in his own field of expertise. But the government, mainly made up of former rebel fighters, was not welcoming to young men who had fled the country and had not fought. Adut was forced to start his own business with a family member. But since the beginning of the war in December business has been very slow, and for the time being he hires himself out to foreign TV stations as producer and translator.